Upr. sist. maš., 2018, Issue 2 (274), pp. 19-30. Introduction. The article describes the methodological foundations of the development of scientific research design systems, which include: models, technology and tools for processing large volumes of text information/data; the formation of conceptual structures (ontologies) of different branches of knowledge, their system integration based on transdisciplinary and ontology concepts. Purpose. The purpose of the article is to develop information technology for the smart systems design. Methods. The methods and models used for the smart systems design are based on the transdisciplinary and ontological concepts of knowledge information processing. Ontologies are the core components of intelligent technologies and systems in comprehensive interdisciplinary and transdisciplinary scientific research. The process of system integration of ontologies makes it possible to investigate the interaction of object knowledge, as an object at the intersection of disciplines, as well as in clusters of convergence, which opens opportunities for new knowledge and for the development of scientific theories. Integrated tools implement a unified information technology, which is based on the proposed function, information and behavioral UML-models. Information technology is designed to support the scientific research design of smart systems, which is a type of scientific research and is characterized by the fact that its main stages are related to the process of describing the alleged pattern of the projected object of the new engineering. The design process itself is built as a series of interactive procedures of deep immersion into the description of the new engineering object and the formation of the intermediate variants of the technical solution. In this case, the transformation of the object design description depends, both on object knowledge in general, and on the knowledge and experience of the designer. Results. The information technology of research-related design of smart systems is developed. An example of the creation and patenting of a linguistic processor for processing large amounts of text data with the purpose of subsequent extraction of knowledge is considered. Conclusion. The methodological foundations of the scientific research design systems development include models, technology, and tools for cognitive processes of information processing, including the design of the new engineering objects, the automated development of ontological knowledge bases of the knowledge domain. The last ones are the basic components of intelligent technologies and systems for comprehensive scientific research of the interdisciplinary and transdisciplinary nature. The process of system integration of ontologies makes it possible to investigate the interaction of object knowledge, as an object at the intersection of disciplines, as well as in clusters of convergence, which opens opportunities for new knowledge and the development of scientific theories. Keywords: research design, smart system, ontological management, ontology. 1. PALAGIN, A.V., KRYVOJ, S.L., PETRENKO, N.G., 2009. “Knowledge-Oriented Information Systems with the Processing of Naturally-Language Objects: Bases of Methodology and the Architecturally-Structural Organization”. Upr. sist. maš., 3, pp. 42–55. (In Russian). 2. PALAGIN, A.V., PETRENKO, N.G., 2009. “The System-Ontological Analysis of a Subject Domain”. Upr. sist. maš., 4, pp. 3–14. (In Russian). 3. PALAGIN, A.V., KRYVYJ, S.L., PETRENKO, N.G., VELYCHKO, V.Yu., 2010. “Knowledge-Based Information Systems with Processing the Naturally-Language Objects: An Ontological approach. ІІ“. Upr. sist. maš., 5, pp. 3–14. (In Russian). 4. PALAGIN, A.V., JAKOVLEV, Yu.S., 2005. Sistemnaja integracija sredstv komp’juternoj tehniki. UNIVERSUM-Vinnytsia, 421 p. (In Russian). 5. PALAGIN, A.V., KRYVYJ, S.L., PETRENKO, N.G., 2012. Ontologicheskie metody i sredstva obrabotki predmetnyh znanij. Volodymyr Dahl East Ukrainian National University, 323 p. (In Russian). 6. PALAGIN, A.V., 2016. “An Introduction to the Class of the Transdisciplinary Ontology-controled Research Design Systems”. Upr. sist. maš., 6, pp. 3–11. (In Russian). 7. PALAGIN, A.V., 2017. “Functionally Oriented Approach in Research-Related Design”. Cybernetics and Systems Analysis. 53 (6), pp. 986–992. [Translated from Kibernetika i Sistemnyi Analiz, n 6, November–December, 2017, pp. 185–192.]. 8. 2017 Multi Annual Strategic Research and Innovation Agenda for ECSEL Joint Undertaking. [online] Available at: <https://artemis.ia.eu/ publication/download/masria, 2017> [Accessed 16 Jan. 2018]. 9. Concept of development of e-government in Ukraine. [online] Available at: <http://zakon2.rada.gov.ua/laws/show/649-2017-%D1%80#n14> [Accessed 29 Oct. 2017]. (In Ukrainian). 10. USKOV, V.L., BAKKEN, J.P., HOWLETT, R.J. and JAIN, L.C., 2017. Smart Universities: Concepts, Systems, and Technologies. Smart innovation systems and technologies 70. Springer, 421 p.
11. GUINARD, D.D., TRIFA, V.M., 2016. Building the Web of Things. With examples in Node. JS and Raspberry PI. Manning Publications Co., Shelter Island, NY, 346 p.
12. PALAGIN, A.V., PETRENKO, N.G., VELYCHKO, V.Yu., MALAKHOV, K.S., TIKHONOV, Yu.L., 2012. “To the problem of The Instrumental complex for ontological engineering purpose software system design”. Problems in programming. 2-3, pp. 289–298. (In Russian). 13. BOOCH, G., RUMBAUGH, J., JACOBSON, I., 2005. The Unified Modeling Language User Guide. Addison-Wesley, Reading, MA, 475 p.
14. PALAGIN, A.V., PETRENKO, N.G., VELYCHKO, V.YU., MALAKHOV, K.S., SEMENKOV, V.V., TIKHONOV, Yu.L., 2012. “Programming model of Instrumental complex of ontological purposes: the library of dictionaries domains”. Visnik of the Volodymyr Dahl East Ukrainian National University. 8(179), 2, pp. 151–157. (In Russian). 15. PALAGIN, A.V., PETRENKO, N.G., VELYCHKO, V.Yu., MALAKHOV, K.S., 2014. 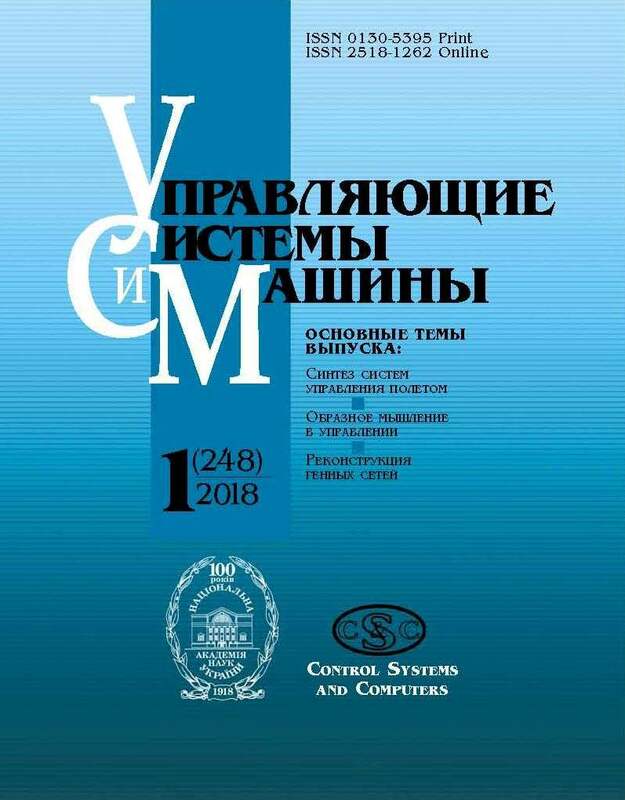 “Development of formal models, algorithms, procedures, engineering and functioning of the software system “Instrumental complex for ontological engineering purpose”. Problems in programming. 2–3, pp. 221–232. (In Russian). 16. PALAGIN, O.V., PETRENKO, M.H., 2017. Tlumachnyi ontohrafichnyi slovnyk z inzhenerii znan. Interservis, 478 p. (In Ukrainian). 17. PALAGIN, O.V., MALAKHOV, K.S., VELYCHKO, V.Yu., SHCHUROV, O.S., 2017. “Personal research information system. About developing the methods for searching patent analogs of invention”. Computer means, networks and systems. 16, pp. 5–13. (In Ukrainian). 18. PALAGIN, O.V., MALAKHOV, K.S., VELYCHKO, V.Yu., SHCHUROV, O.S., 2017. “Design and software implementation of subsystems for creating and using the ontological base of a research scientist”. Problems in programming. 2, pp. 72–81. (In Ukrainian). 19. VELYCHKO, V.YU., ZAIONCHKOVSKYI, A.YO., PALAHIN, O.V., PETRENKO, M.H. Device for morphological analysis of natural language text documents. Patent 78179 Ukraine, MPK (2013.01) G06F 12/00, G06F 17/30 (2006.01). Published 11.03.2013. (In Ukrainian). 20. PALAHIN, O.V., PETRENKO, M.H., VELYCHKO, V.YU., KRYVYI, S.L., OPANASENKO, V.M., SOFIIUK, O.T., MYTROFANOVA, H.Y., MUSHKA, V.M. Device for morphological analysis of natural language texts. Patent 72914 Ukraine, MPK (2012.01) G06F 15/00, G06F 15/16 (2006.01). Published 27.08.2012. (In Ukrainian).